US Illustrator Bernard Rollins has picked up some of the world's best known rappers and dropped them off in Springfield, re-imagining drawing them as if they were to appear in The Simpsons. We've gathered some of his best but you can see more on his Instagram page: Instagram/bnardartwork. 1. Here's Kimye on their recent Vogue cover... Can you spot what's different? 2. 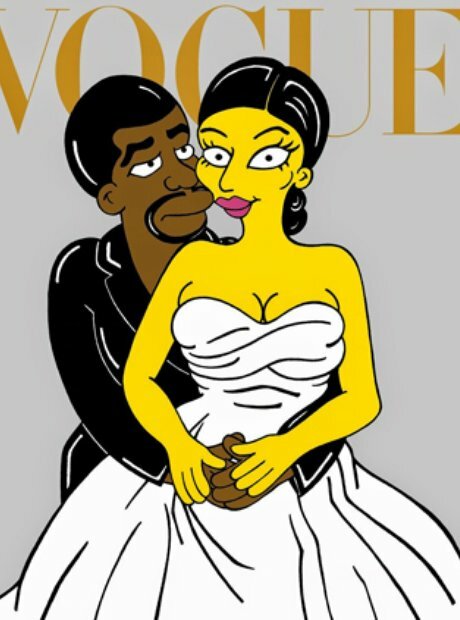 This is what a Simpson version of Kim Kardashian would look like! 5. Rick Ross aka Da Bawse doesn't look too different as a Springfield resident. 6. Bernard Rollins drew Pharrell Williams complete with his famous Grammys hat. 7. US rapper Action Bronson caught wind of the drawings and re-posted one on his Instagram page. 9. Raekwon doesn't look like a very happy Simpsons character.